Rapid identification and troubleshooting of application and network performance problems through tracers such as Cloud TracersTM, VM Tracer, MapReduce Tracer, Path Tracer, Health Tracer, Container Tracer, Latency Analyzer (LANZ) and also sFlow monitoring. CloudVision for simplified and scalable integration of the physical network with solutions from Arista ecosystem partners, including VMware, OpenStack, Palo Alto Networks, Microsoft, and many others. The Arista vEOS Router is a core component of Arista’s Any Cloud Platform. 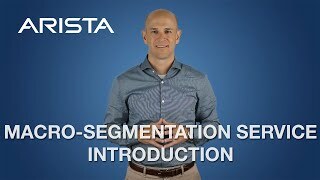 The vEOS Router is Arista’s same, proven single EOS software image, offered as a multi-cloud and multi-hypervisor virtual router. This cloud-grade and feature-rich software platform empowers enterprises and service providers to build consistent, highly secure and scalable cloud networks. Arista vEOS router is designed to support any public or hybrid cloud environment, including Amazon Web Services (AWS), Microsoft Azure Cloud, Microsoft Azure Stack, Google Cloud Platform, and Oracle Cloud Infrastructure. The vEOS Router leverages existing EOS proven routing capabilities and includes enhancements, such as IPSEC VPN tunnelling, to securely interconnect workloads across multi-cloud deployments. In addition, vEOS Router is integrated with cloud provider APIs to enable seamless deployment, automation, analytics and end-to-end visibility. 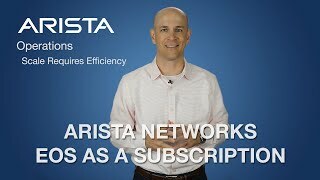 Arista vEOS Router fully integrates with Arista CloudVision to simplify the experience of using cloud services by leveraging a network-wide approach for workload orchestration and workflow automation together with network telemetry for hybrid cloud networking. 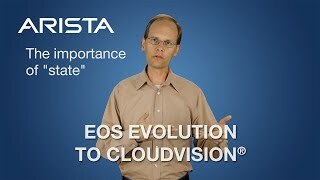 With an unmatched level of consistency, Arista’s customers can reduce their operational costs when deploying the Arista Any Cloud across on-premises enterprise datacenters, private clouds and public clouds. Highly Available Architecture: Architected for resiliency, EOS has a unique multi-process self-healing state sharing architecture that minimizes downtime with fault containment to a single module and process restart without the need to rebuild state information. 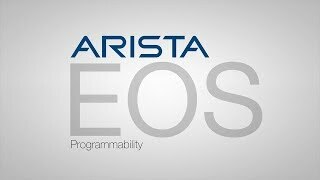 DevOps, NetOps and 3rd Party Support: Arista EOS was built with programmability at every layer of the software stack for easy integration and customization. 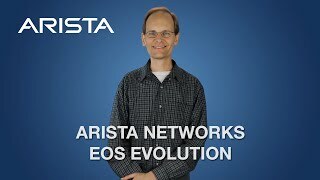 Arista vEOS Router enables the same programmatic control of the network with numerous programmability options. Tighter NetOps/DevOps integration is possible with rich, well-structured set of APIs. Simplified Management with Monitoring and Reporting: vEOS Router can be managed through Command Line Interface (CLI), APIs, or CloudVision network-wide automation services. It also presents comprehensive logging and diagnostic information that can be monitored using industry-standard tools and NetDB real-time state streaming. It is also fully integrated with cloud-native monitoring and automation solutions.